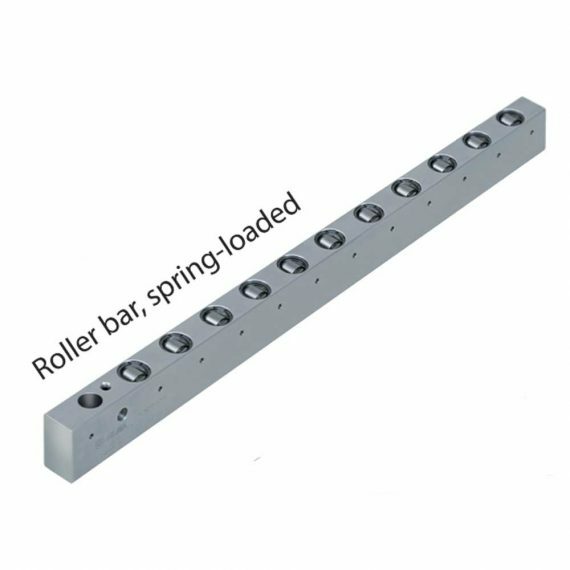 For medium loads, for linear movement of dies: Function and design of the roller bar similar to spring-loaded ball bars. Load-bearing capacity slightly increased thanks to the use of rollers. Max. load-bearing capacity: 66 kN/m, flexible roller spacing and orientation. Any variable length in one-piece design up to 2900 mm. Fastening of the roller bar using a fastening crossbar or a wedge lock.